Our silver bullion buyback policy is aimed to make selling your silver bullion back to us as hassle and stress-free as possible. 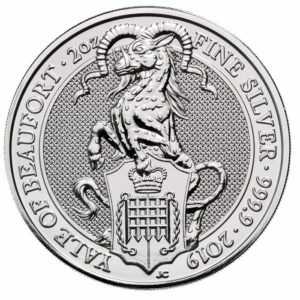 While we do purchase silver bullion back from clients, we cannot offer a full guarantee of buy-back. 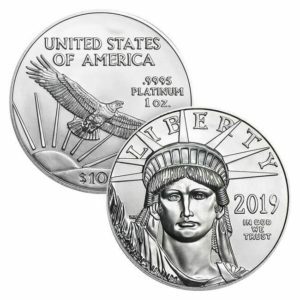 That is, we reserve the rights not to offer this service; buying back bullion coins and bars is conditional on the level of stock we have on-hand of that particular type of silver. However, if buy-back is considered, we will make an offer to the ‘seller’. Please note that we reserve the right to make payment in cash. The transaction is structured around five very simple steps. 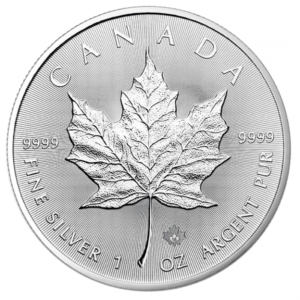 Send us an email outlining the (1) quantity, (b) type, and (3) the quality of silver bullion you wish to sell back to us. Please ensure that you attach the original invoice(s) that we originally issued containing the silver that you wish to sell back. Should we agree to proceed with the transaction, we will forward an offer to purchase to you within 48 hours. The offer to purchase will include the price offered on the items(s). 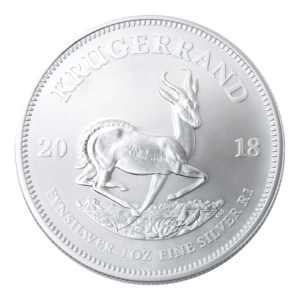 This price offer is valid only for the day in which it is issued, and it is based on a combination of the live silver spot price, and the Rand/Dollar exchange rate. 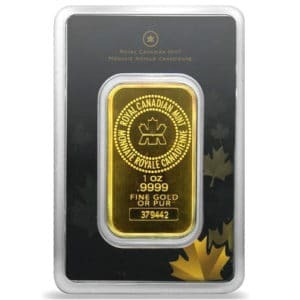 The price offered is typically (although not exclusively) between 7% and 12% below the bulk pricing of that particular bullion type that appears on our website. Should we be fully stocked, the offer may be marginally lower. Should you accept the buy-back offer, we will require that you forward to us a final invoice containing your details (Name, Surname, Address, Phone number) and a copy of your ID. Please be sure to include our full company details that you will find on the original purchase invoice. Should you not supply us with the above, our offer will automatically decrease by 14% for we are a VAT vendors and we would be unable to claim the notional VAT amount. We will send our courier to collect the parcel within the next 48 hours, the cost of which will be for your account (it will be deducted from the principal amount in our buy-back offer). Please ensure that the silver is packed carefully and securely so that it does not get damaged during the transportation. Damaged silver bullion will not be accepted and it will be sent back. Should you wish to drop it off rather than courier the bullion, please liaise with us to set up a suitable collection date, time, and place in the Northcliff area. Once the bullion is delivered to us, and it is thoroughly inspected to verify that the silver is in the same BU condition as when it was purchased, we will make payment within 48 hours via EFT directly into your account to finalise the transaction. we will not buy back damaged silver. Please take a minute to read a few basic recommendations on how to take care of your silver bullion products to ensure the best possible price on sell-back. we prioritise buy-back offers of full tubes of coins over numerous types of loose coins. we always prioritise the buy-back of coins that are more popular and better sellers; i.e. Eagles, Maples, Britannias, Kangaroos, and bars. Although silver bullion products derive their value almost exclusively from the weight of its silver content, many investors and stackers avoid purchasing bullion products that are damaged. By damaged, I don’t mean merely scratches and dents, but also chemical marks and fingerprints. Therefore, to avoid losing money when selling silver back to us, it is important to consider a few points when it comes to handling and storing your bullion coins for optimum sell-back value. Firstly, unless the silver coin, round, or bar comes in a protective capsule or sleeve, always handle it with 100% cotton gloves. Finger prints on coins, as a result of the natural oils on the skin, can become rather unsightly, often turning yellow over time. These marks are difficult to remove without damaging the silver and it will affect re-sale value, even if only minimally. Secondly, if you decide to handle your silver, please do so above a table with a towel or cloth underneath it in case you happen to drop the coin. Coins that have dings on the rim as a result of a drop are usually lose much of its value above the spot price. Thirdly, store your coins in a dry place. Although you may feel that the kitchen and the bathroom are excellent hiding places, it is not a good idea, especially if the silver is not housed in original tubes, capsules, or packaging. These areas are often full of moisture, which ultimately marks the silver over time. If you have purchased less than 20 or 25 coins and you did not received an original mint tube, your coins were sold in coin flips. These flips may look flimsy, but they are made of non PVC plastic and they are ideal for long-term storage outside of tubes. In other words, the coin flips are non-plasticised and contain no chemicals that will discolour the silver. Lastly, please do not attempt to clean your coins with any chemical cleaners. This is especially relevant when considering tarnish. If there is oxygen, silver tarnishes; full stop. Should you find that some of your silver coins or bars have begun to show tarnish marks, please do not attempt to clean it. Tarnish does not affect the re-sale value of your silver. Some investors actually prefer to see tarnish on bars as they indicate authenticity.